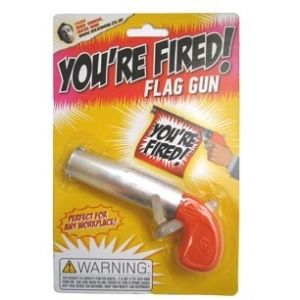 Show a colleague or family member what you think of their work with this ingenious 'You're Fired!' flag gun. Pull the trigger to display the words 'You're Fired!'. Perfect for any office or home!. trigger as this item is spring loaded. Enjoy your novelty gun responsibly!